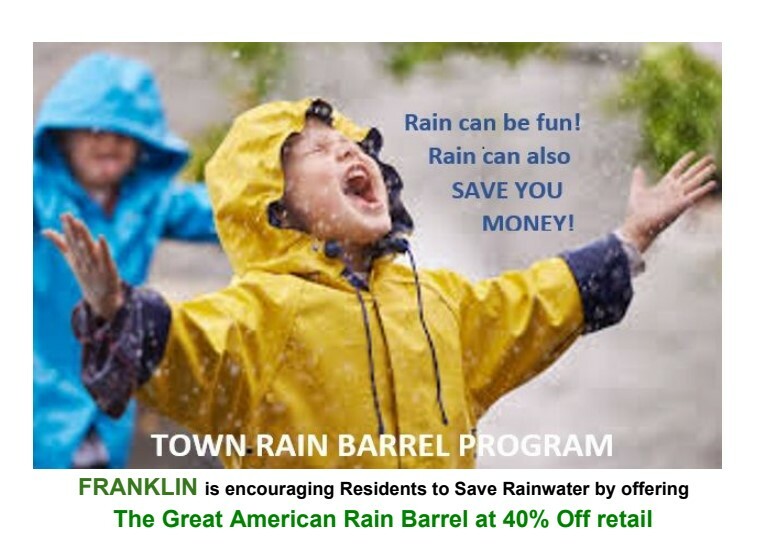 Don't forget to order your rain barrel! Franklin is once again partnering with The Great American Rain Barrel Company to offer residents discounted barrels for just $79. Residents may then apply for a $50 water conservation rebate from the DPW for a total cost of only $29! !